So this one’s a little different. We don’t normally make posts based around music we like, but when that notion is combined with thoughtful design and good people doing good things, it only seems right share the awesomeness with others, and what better way to do that than with a blog post! Recently Sims, a Minneapolis rapper and Minnesota native, released his second full length album titled, “Bad Time Zoo”. Sims is a member of Doomtree, a collective of rappers, djs, producers, artists and all around good people. Doomtree is also a record label which the crew formed as a means to do what they love to do and so on their terms. 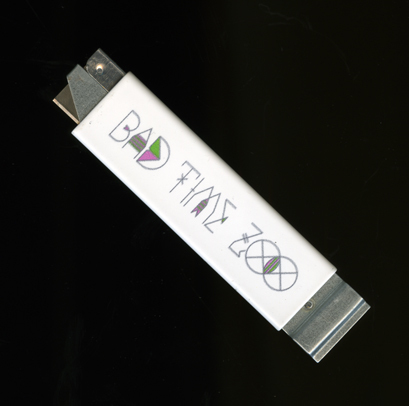 Bad Time Zoo was released on the Doomtree label. All the beats on the album were done by Lazerbeak, also of Doomtree and known for his lavabangers. Sims and Beak produced an album that combines thought provoking lyrics with deceptively complex beats, and the result is nothing short of outstanding. In other words, you gotta hear it. As for design, it was done by Sims’ longtime friend and Minnesota native, Adam Garcia (of The Pressure). Adam graduated from MCAD a few years back and has been making big moves ever since. After a stint in Philly at, he found his way to Portland where he is currently a senior designer at Nike. 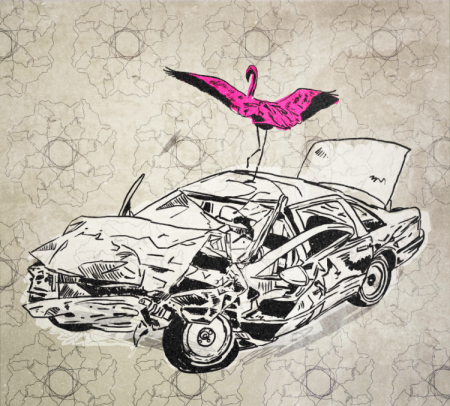 For the album, Adam created multiple illustrations (one of which is a flamingo dancing on a wrecked car) as well as a custom typeface (BTZ Display). I recently asked Sims and Adam some questions about the album, their process, box cutters and paper fold animals. They were kind enough to take the time to answer (thanks). A little note about the packaging. The album comes with the CD, a booklet of lyrics, a fold out poster and a box cutter (that’s right a box cutter, which has the title of the album printed on the sleeve). The fold out poster has three templates for paper fold animals (a shark, a vulture, and a lion) which you cut out with the box cutter and then construct with a little bit of tape. check out the video they made about it, here. When producing a new album It seems as though it may not be enough to simply release a standard CD these days. What were your concerns or goals when imagining the packaging of your new album? At what stage in the creation of an album do you start thinking about this? At this point in the music industry, and all media industries for that matter, it’s important to make your product enticing to the consumer in the physical from. Media is readily available for consumption almost instantly via the internet so if you are at all interested in getting people to purchase your product physically you need to make your package interesting, almost a collectors item. Well thought out design and interactivity are crucial to the success of a physical product. You have to be engaging the audience in more than one form. I didn’t start thinking of packaging ideas until the album was done because I wanted to have the package tie into any themes that I could from the album. That’s why I enlisted the help of my talented friend Adam Garcia. We started with a list of themes, then we came up with the idea and he executed the piece beautifully. 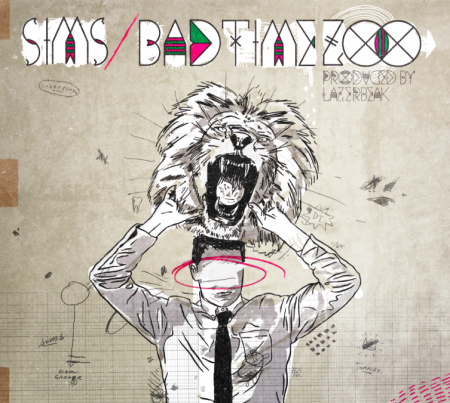 What can you tell me about the album title “Bad Time Zoo”? the album was initially called “The Veldt.” What i did this time around was make a surplus of songs and gave rough mixes to a few friends of mine in an attempt to see which songs they were gravitating to, trying to make informed decisions about which tracks were good. “Bad Time Zoo” is a line that appeared in a song. when I got critique back from my friends two of them told me the were getting Bad Time Zoo tattooed on them. In a David Lynch moment I decided to change the title to Bad Time Zoo the idea being that if that line stood out so much then it should be the title. 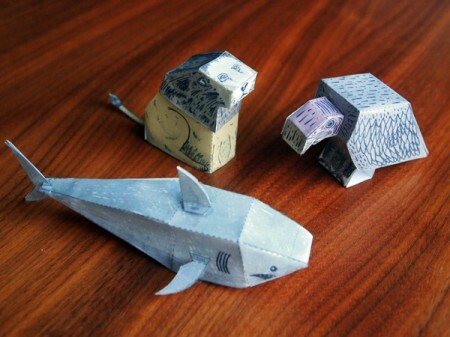 Between the three paper fold animals (lion, shark and vulture) which is your favorite and why? There are a couple of literary references on this record—what can you tell me about the two songs “One Dimensional Man” and “The Veldt” in terms of that? For an answer to your question, check out this MPR piece. You released this record under the Doomtree label, which you are a founding member of, so beyond artist, what other roles did you play in the production/release of this album? 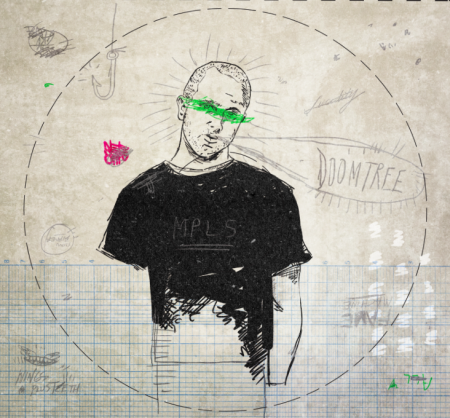 Doomtree is a collective of artists that started a label out of necessity. We formed more or less an artist owned and operated co-op with a DIY work ethic instilled in us by various punk bands and indie hip hop labels. All of us wear different hats with the business. After I handed my masters in to the label I became more or lessa project manager for the release. I had to make sure the art and design were done, handle the video schedule, coordinate with radio and pr, work with my team on a marketing campaign and multiple other things. Basically its a lot of meetings, emails, phone calls and drinks…not a bad job at all. I was not alone in the work, Lazerbeak, Dessa and the rest of Doomtree were crucial components in handling this project done. Its definitely a lot of work to release records this way but on the plus side you are in full creative control of your music and its presentation. (Sims just released a video for his song “One Dimensional Man”, check it here. He also has a video out for his song “Burn It Down.” Watch here. (Sims is on tour right now. Check here for the dates). How would you describe the influence of the music on your design for this record? 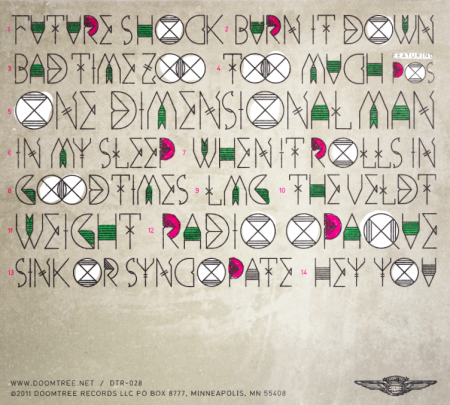 How do you think this design fits in with the long history of design for Doomtree? I’ve been a fan and friend of Sims’ for years. We used to freestyle together, and we wrote a song together back when I was making music. As a designer / illustrator, I’ve always been very interested in the symbols that Sims uses in his music. He’s smart, and his use of metaphor is greatly influenced by literary references. There’s something that I like about the fieriness of Sims’ delivery and the overall kind of finding-order-out-of-chaos that is a theme of his music. Having a thorough knowledge of the Doomtree design aesthetic also had an influence. I was definitely giving a nod to Eric Carlson’s work on the last Sims’ False Hopes album in this artwork, but of course wanted it to have it’s own identity. With musicians, I usually don’t just create an album cover or packaging right away, I start by pitching them an overall visual direction that includes reference material, color direction, typographic direction, photo direction and illustration direction as well as references to materials and textures that I think carry the feel of the album. This is to create a comprehensive campaign from the get-go while allowing the artist to visualize an end-result in the first phases. Luckily, the Doomtree as a whole has a very good understanding of the importance of visual identity. 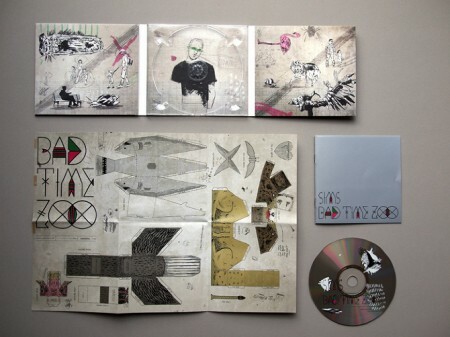 When Sims first approached he had an idea of what he wanted, and part of that was an aesthetic that involved drawn illustration, the overall theme of the album, and “origami” animals. 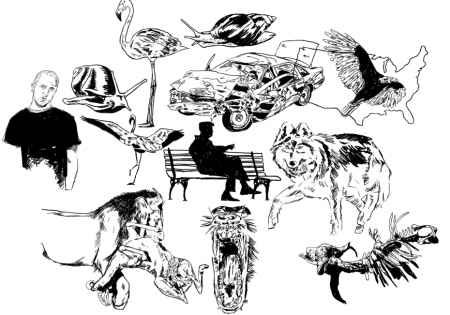 The idea of animals being a metaphor for different kinds of people was a starting off point. I also knew that I wanted something a little more mechanic to offset the illustrations, so I created a simple font for headers and titling that I called “BTZ Display.” This also helped with the overall identity. 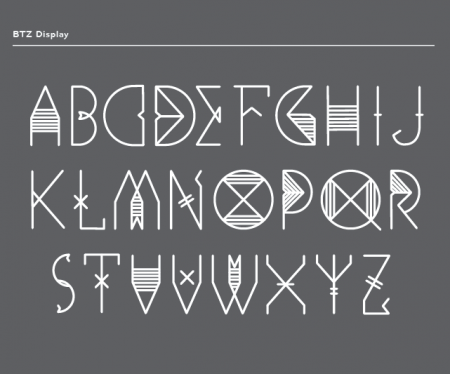 The horizontal and vertical striping on some of the letters are supposed to reference bars, like in a zoo. At the very beginning of the project some 6 months ago, the name was going to be “The Veldt,” which is both a Ray Bradbury story and a latitudinal line around the Earth where some of the largest animals exist. I immediately wanted Jon Grider to be a part, and comped up a cover with one of his stencils and a simple, bold type treatment over the top. Next, I was imagining creating a kind of “12 Monkeys” like post-apocalyptic America where wild animals ran free in the city in front of a dystopian Minneapolis. That’s where the flamingo dancing on the crashed car came from. I pitched that as the next cover, but he felt like the idea of having a more human element was important. 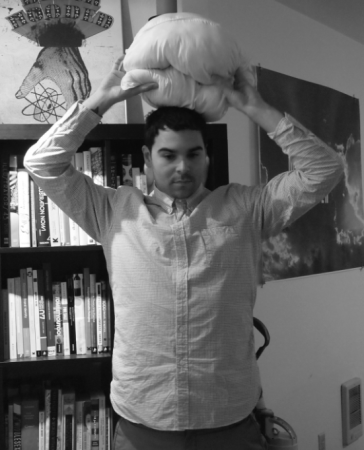 We used an image of me holding a pillow in lieu of an actual lion head as the reference material. What was the process like in the developing of the paper fold animals? 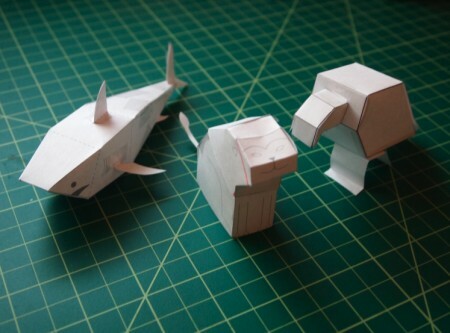 At first, the idea of creating “origami” animals was challenging because of the amount of didactics required to ensure proper execution. I thought that the “paper foldable” direction could be a little more fun, easier to assemble, and it stands on its own unlike a lot of actual origami. I looked at a lot of other paper foldables online, and downloaded and assembled dozens to get the hang of construction. After that were rounds of animal sketches, and then creating abstractions of the basic animal shapes in Adobe Illustrator. After one “plane” of the 3D animal is created, it’s kind of rounds of trial and error to get all the edges and flaps correct. The biggest challenge was fitting all three predators on a single 10″ x 14″ sheet. What was the relationship like between you and Sims during the design of the album? Sims is an awesome client. We trust each other and respect each other as creators, and that was key. Where do you get a box cutter printed? Burlesque has done printed box cutters before and facilitated the printing.